Molybdenum ditelluride is a crystalline compound that if pure enough can be used as a transistor. It was first made in the 1960's via several different fabrication methods, but until last year it had never been made in a pure enough form to be suitable for electronics. 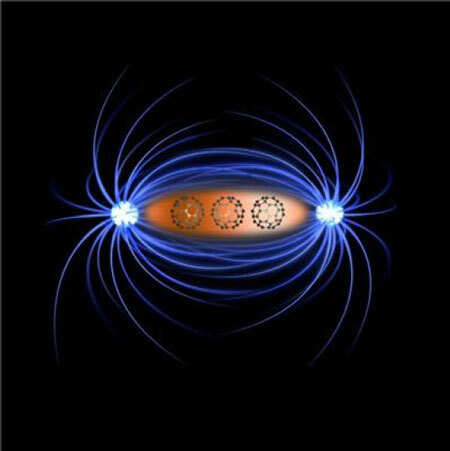 Researchers have unraveled intricate details of the magnetic structure and dynamics of the magnetoelectric compound LiFePO4. 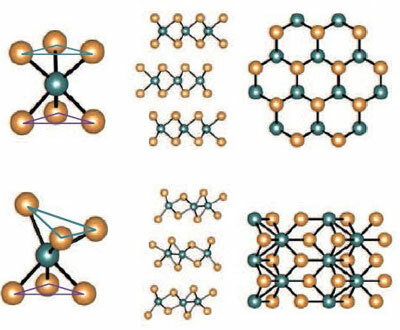 Such materials currently find use in sensors but there are promising perspectives for magnetoelectrics to be applied in data storage and spintronic devices as well. 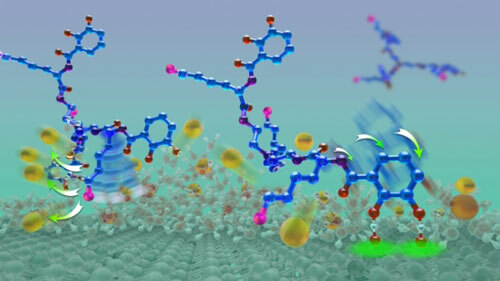 Researchers study and improve a small molecule that possesses an impressive ability to adhere in wet environments. 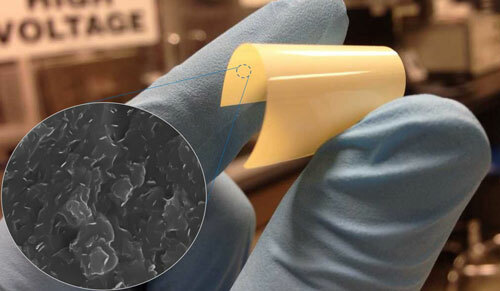 Easily manufactured, low cost, lightweight, flexible dielectric polymers that can operate at high temperatures may be the solution to energy storage and power conversion in electric vehicles and other high temperature applications. 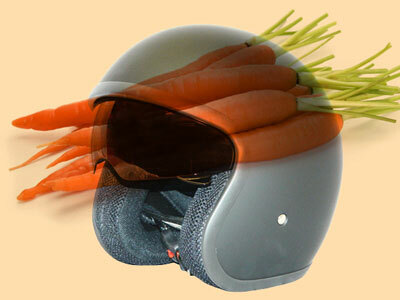 Safe motorcycle helmets - made of carrot nanofibers? Crackpot idea or recipe for success? 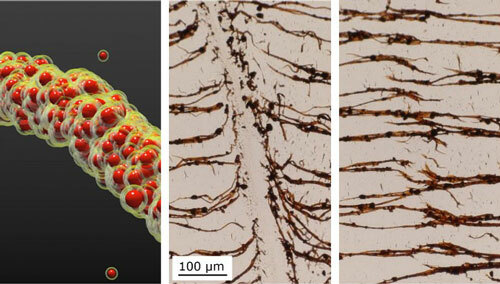 Here's an example: Nanofibers made of carrot waste from the production of carrot juice, which can be used to reinforce synthetic parts. 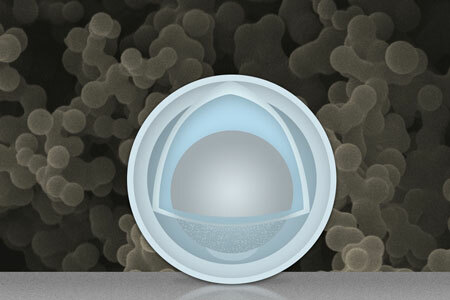 Researchers have developed a way to prevent noble metal nanoparticles from compacting, by encapsulating them individually inside a porous shell made of a metal oxide. This work has immediate applications in the field of nano-catalysis for the manufacturing of more efficient fuel cells. Longer-lasting batteries could be 3D printed from graphene ink to tackle rising demand for energy storage products in household devices or renewable energy systems. If you want to form very flexible chains of nanoparticles in liquid in order to build tiny robots with flexible joints or make magnetically self-healing gels, you need to revert to childhood and think about sandcastles. 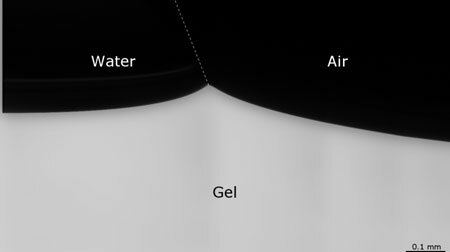 Studies of the impact a droplet makes on solid surfaces hark back more than a century. 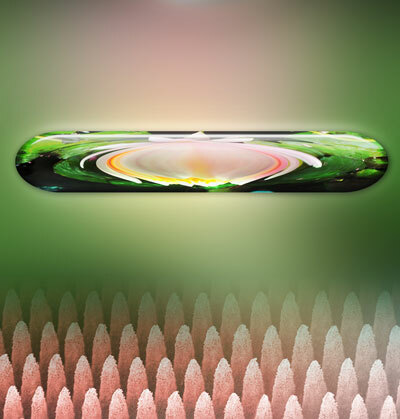 And until now, it was generally believed that a droplet's impact on a solid surface could always be separated into two phases: spreading and retracting. 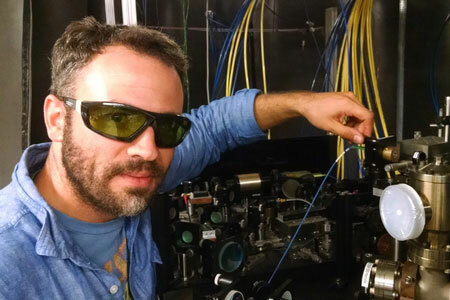 But it's much more complex than that, as a team of researchers now reports. 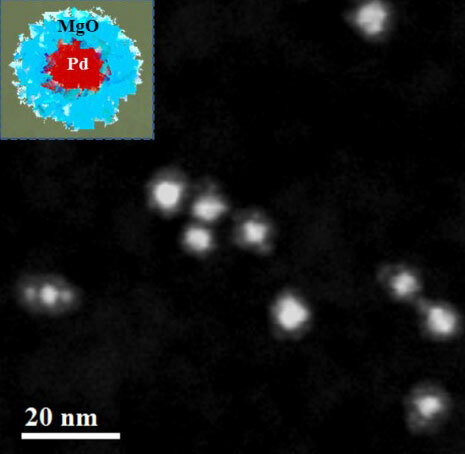 Aluminum nanoparticles could give a big boost to capacity and power of lithium-ion batteries. 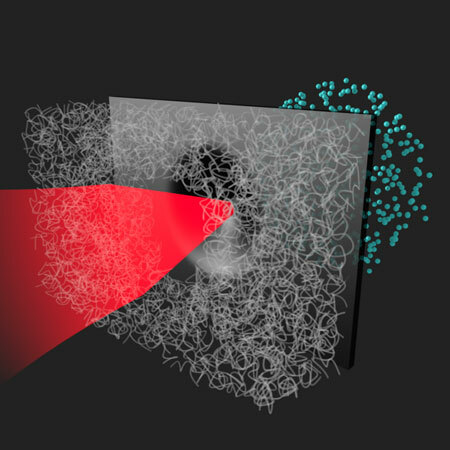 Researchers have succeeded in clearly identifying why droplets on soft, squishy surfaces react differently than on hard surfaces. The U.S. Food and Drug Administration has issued a final guidance for industry, 'Use of Nanomaterials in Food for Animals', which is intended to assist industry and other stakeholders in identifying potential issues related to safety or regulatory status of food for animals containing nanomaterials or otherwise involving the application of nanotechnology. 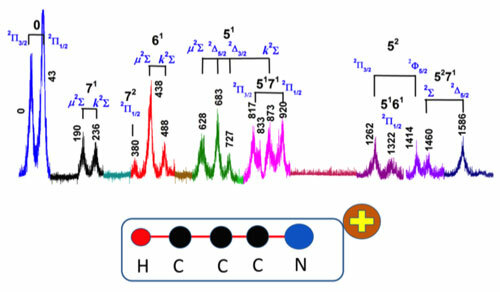 Researchers have obtained new energy readings for cyanoacetylene molecules, with significant implications for understanding the electronic structure of organic molecules. 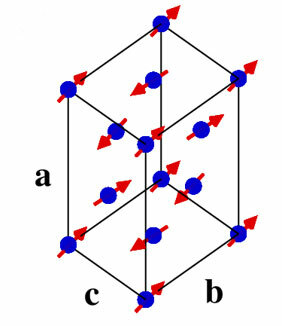 Lowest-entropy gas allows modeling of quantum systems such as high-temperature superconductors.